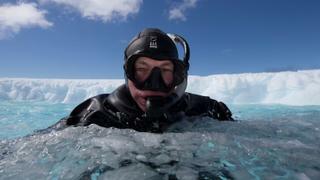 In the iconic BBC series Blue Planet II, featuring Sir David Attenborough, received extensive support from EYOS Expeditions in Antarctica during the austral summer of 2016/2017. 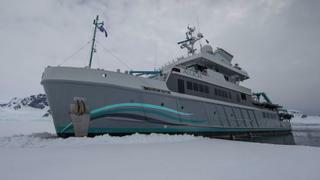 EYOS provided support and assistance with permitting, polar logistics and operational support on board 56 metre research vessel Alucia on her three month, three voyage deployment to Antarctica. “Congratulations to BBC for capturing some of the most stunning imagery of our natural world on this expedition," said Ben Lyons, CEO of EYOS Expeditions. "That it was filmed under the most trying of circumstances in some of the most remote parts of the world only makes the result that much more impressive". The series took around than fours years to film and came 16 years after the original series. It boasts music by Hans Zimmer and involved 125 shoots, 6,000 hours of underwater filing and 1,000 hours of filming in submersibles. Exploring 500-600 metres beneath the many layers of ice, which has weighed down the continental shelf over time, divers shared the extraordinary marine world with viewers, filming fascinating creatures such as the ancient Graneledone antarctica octopus, giant sea-spiders, ice dragonfish and the Antarctic sunstar Labidiaster annulatus, which can grow up to 50 arms and has been nicknamed 'the Death Star'. Alucia was first delivered in 1974 by Auroux as a support vessel and recovery platform for diving and submersible operations. She underwent a 12 month refit, which was completed in 2014 by Diverse Projects. Fully kitted out with two deep dive submarines, a helicopter, helipad and the latest in technical diving, filming and scientific research equipment. she has a range of 7,000 nautical miles with an average speed of ten knots. Both the Triton 3300/3 (one pilot, two observers) and the Deep Rover (one pilot, one observer) can go to depths of 1,000 metres. “When we built Alucia in Seattle during 2008-2011 we focused on creating a very capable expedition platform," said EYOS founding partner Rob McCallum. 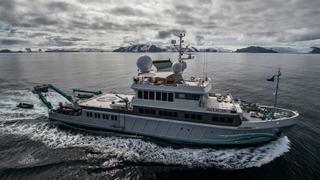 "Having her as the primary platform for submersible, helicopter and scuba ops in Antarctica fulfils our original intention when we built her." 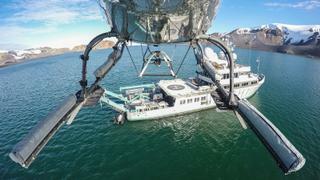 “Our clients are people who want to get to the most remote parts of the planet in order to achieve their mission. 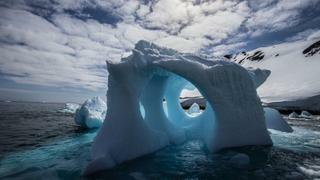 Often it is to highlight the plight of our oceans and the threats to the world we live in," added McCallum. "For instance, just recently our Expedition Leader Justin Hofman captured an image of a seahorse with a cotton bud whilst on expedition in Borneo, highlighting the issue of marine plastic debris and earning him a place as a finalist in the Wildlife Photographer of the Year Awards”. The critically acclaimed Blue Planet II first aired on October 29, continuing for six weeks with a total of seven episodes. Don't miss a minute of it if you're thinking of cruising along the coastlines of Antarctica on your next superyacht expedition.